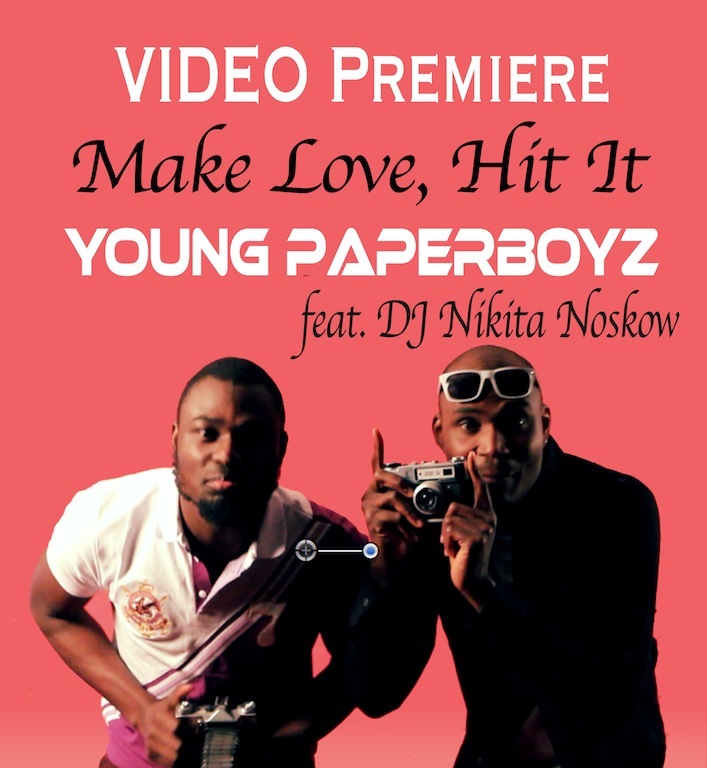 Young Paperboyz, The Nigerian Hiphop/Pop Duo is back with a new visual for the track ‘Make Love, Hit It’ featuring Dj Nikita Noskow. This is taken from upcoming EP Project [Naija Boss Techno Reloaded] which will be in store september 15th 2013, Directed by Mayor Boss Production. For the fans, If you ain't know it, Young Paperboyz is a Nigerian Hip-hop, R&B & Pop group based in Europe. They are one of the hottest artist in Nigeria and Europe with over 17,000 sales on iTunes from the past years. Young Paperboyz continued to develop as a artist and Songwriter by working under some of Nigeria, UK, Germany, Ukraine USA’s biggest Musical names such as Lil Jojo, Hardx,, Angeliya, Logan Chapman, Alex Martin, Sutflute, Tustep and many others. They also got signed to Universe Media Group in 2011, Bandamusic label in 2010 and now Officially manage by NaijaMayor Record in 2013. In mid-2009 Young Paperboyz released their debut album, "Moving" achieving modest sales around approximately 8,000 copies and They followed that with the mixtape, release of another mixtape again and again till date.